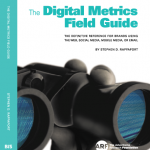 The Digital Metrics Field Guide is widely available from various Amazons and Barnes & Noble online, to a raft of independent booksellers who trade online and have physical locations. A number of them offer discounts and low-cost or free shipping. The shops linked to below appeared through a web search. Any local bookseller can order The Digital Metrics Field Guide for you. 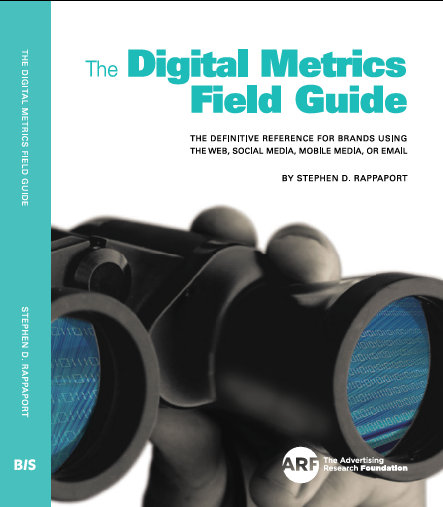 Digital Metrics Field Guide Announced in BIS Publishers Spring Catalog. Pre-order Available. More good news. The published books are available for pre-order, at an introductory price, on Amazon , Barnes & Noble, and independent booksellers in the US and around the world. BIS told me that they are being shipped shortly to the warehouses and should likely be available in March. When BIS knows exactly, they will revise the publication date, and I will share that with you. I was surprised and flattered that my article for Association Advisor titled “Turn Your Social Media Goals Upside Down” was listed in a roundup of the top 30 articles of 2014 by Hank Berkowitz. Essentially the article makes the case for creating and harnessing advocacy among association members to energize and vitalize an association, instead of only treating social media as a top-down, ho hum, communications channel. 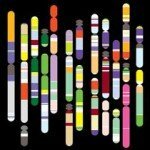 The article is supported by quotes and a case study from the Field Guide. Travel providers lure social media stars with special perks, discounts, and freebies nowadays. Check-ins on Foursquare or Facebook, tweets, retweets, and Instagram posts are traded as currency in exchange for loyalty points or discounted rates. In most cases, the more followers you have, the larger your reward. But even an everyday traveler with a less-than-impressive fan base can leverage tweets and likes to save money on travel. If you’re interested Marriott, Kimpton, and Starwood have established programs, and several airlines offer promotions at one time or another. Read the article here for the details. There’s a lot of action with Instagram, as the NY Times reports. Treating social media endorsements as currency for rewards is a promotional tactic not very different, in principle, from other reward schemes. However, these programs have the potential to skew what influencers say about a brand and the perception they are fostering of that brand. Marketing benefits aside, this poses problems from the analytical perspective when we need to distinguish between commercial voices and authentic voices, which we need to do in listening research and in digital metrics. In listening, for example, we would have difficulty evaluating the importance of topics and sentiment – we wouldn’t confidently know which were raised by “stars” benefitting from a special rewards program and which were voiced by the ordinary traveler. On the metrics side, there are implications for earned media trends and analysis. We can address these and related issues by encouraging the stars to take the lead and voluntarily disclose their participation in these influence for rewards programs. This will let their readers know if they are materially benefiting from the programs or not, which they can then take that into account as they see fit. At the same time, that notification will allow analysts to tag conversations as commercially-influenced or not, and analyze them appropriately. Digital Metrics Field Guide manuscript submitted to publisher. Expect January publication. I’ve been revising the Field Guide to prepare the manuscript for publication by BIS Publishers. Many changes since the book was printed by ARF, notably a new release of Facebook’s Graph API, advertising on Pinterest, etc. Manuscript gets submitted in a couple of weeks, with books in stores and online sometime in January. While working on updates I am heartened to see that Facebook is shifting focus from merely counting interactions capturing click happiness to reporting actions that are more specifically relevant to advertisers, such as in its People Engaged and Engagement Rate metrics.